If you like the idea of owning a like-new world-class luxury sports car but also want to stick with a budget, then consider taking advantage of the Porsche CPO Program. You’ll find a full lineup of Porsche CPO vehicles for sale near Malibu at Rusnak/Westlake Porsche in Thousand Oaks, where we also offer a full range of greater Malibu Porsche service offerings. So if you have any issues during the CPO warranty, simply bring your vehicle into your Westlake Porsche Service center! Find a CPO Porsche in Thousand Oaks! 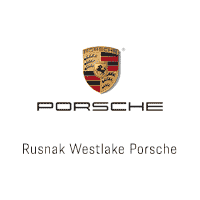 Check out all the CPO Porsche models for sale near Agoura Hills today at Rusnak/Westlake Porsche, located at 3839 Auto Mall Drive in Thousand Oaks, CA. Check out our list of the best roads for joyrides around Malibu, then contact us online or call us directly at (844) 245-3668 to set up a test drive!